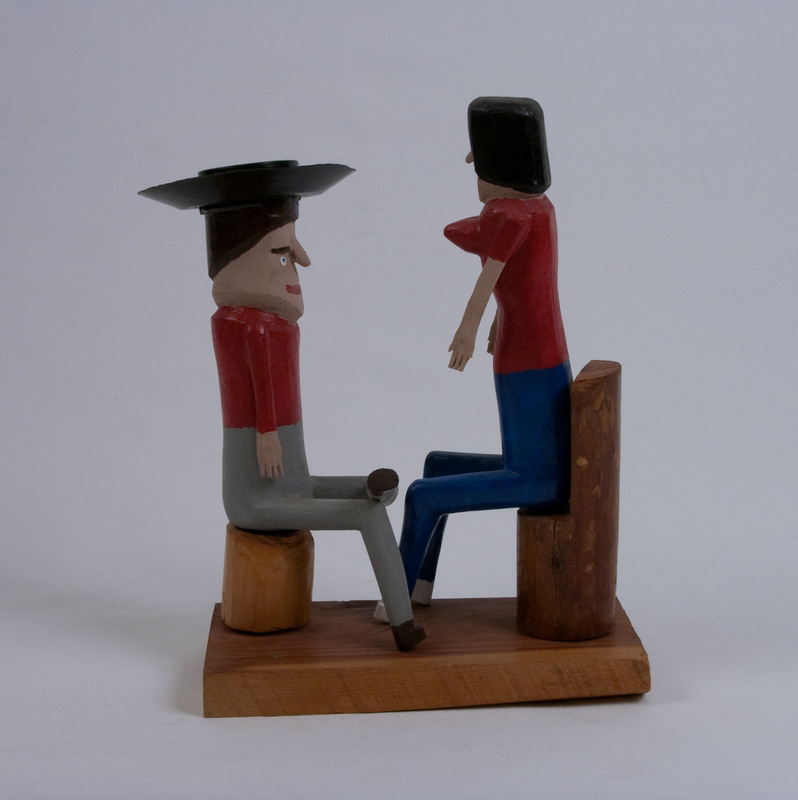 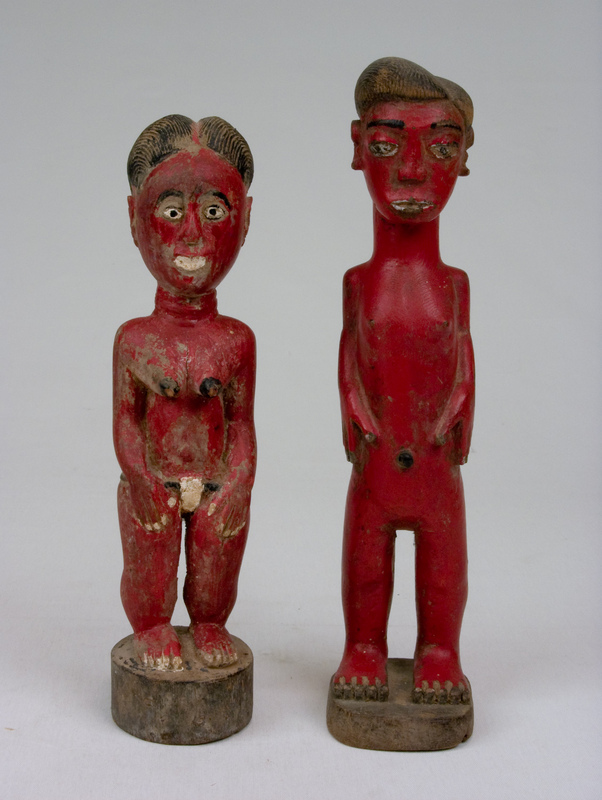 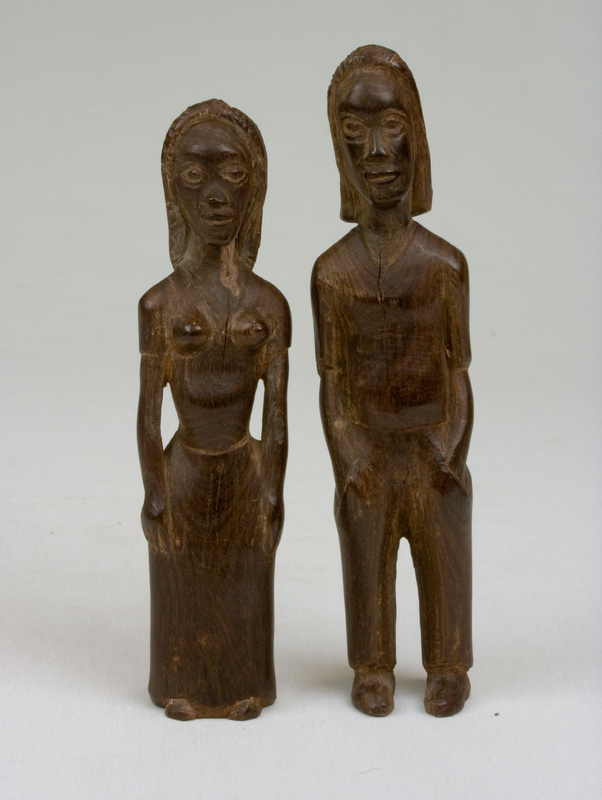 Our collection is comprised primarily of figural work. 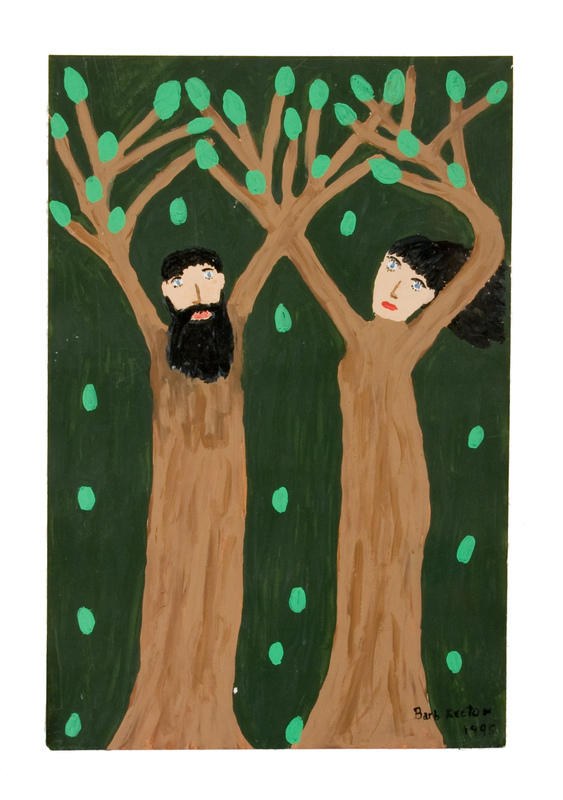 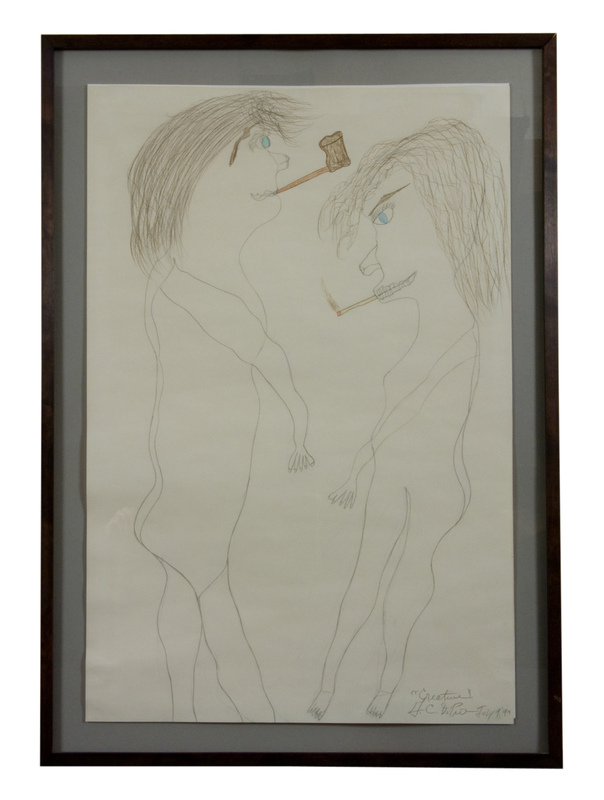 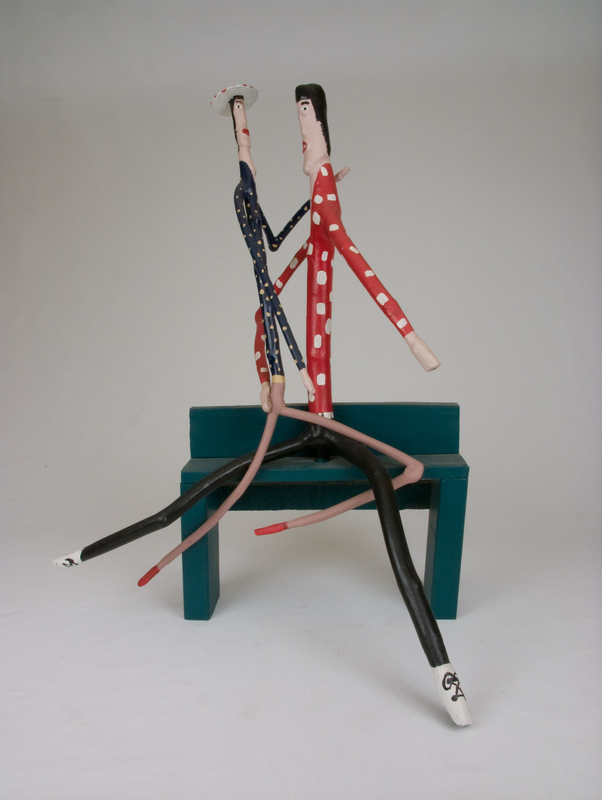 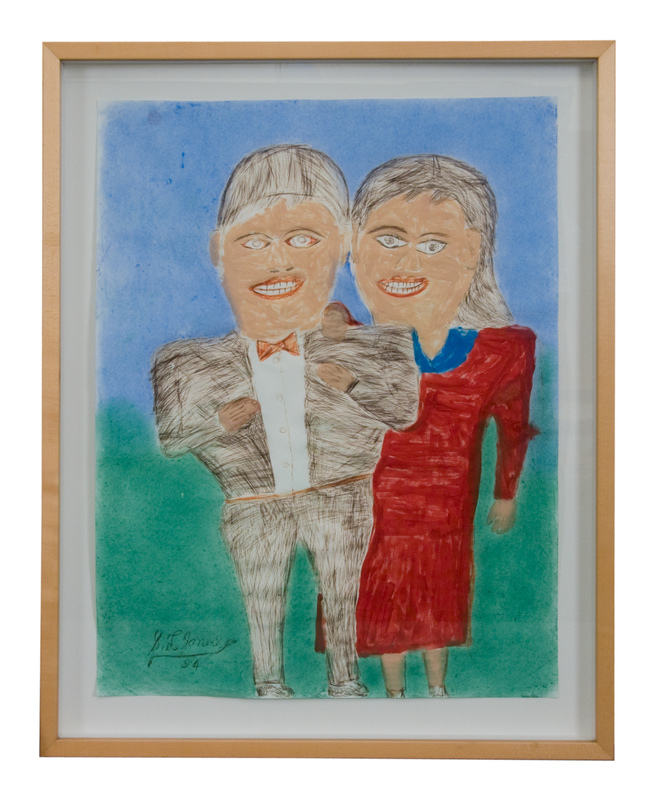 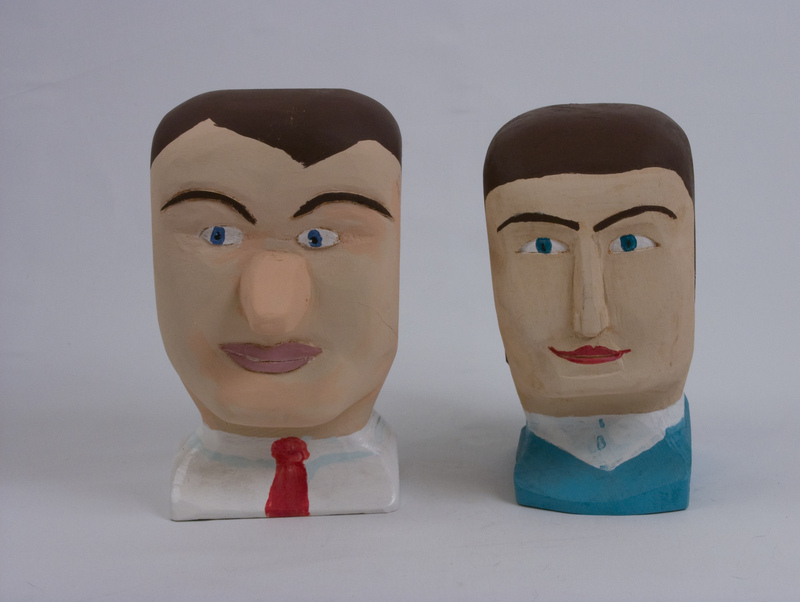 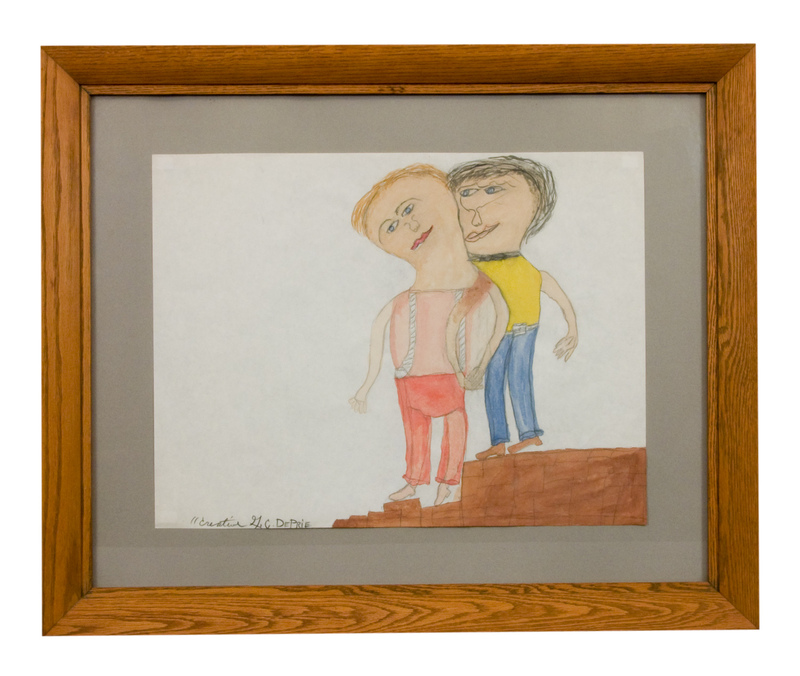 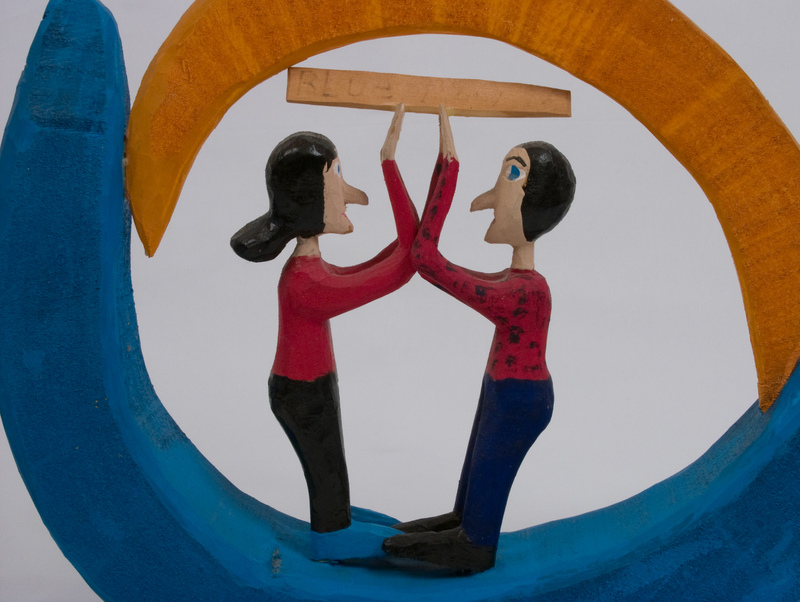 We have had the opportunity to seek out artists such as Gerald "Creative" De Prie or George Williams who created work representing couples; displayed and sold as such. 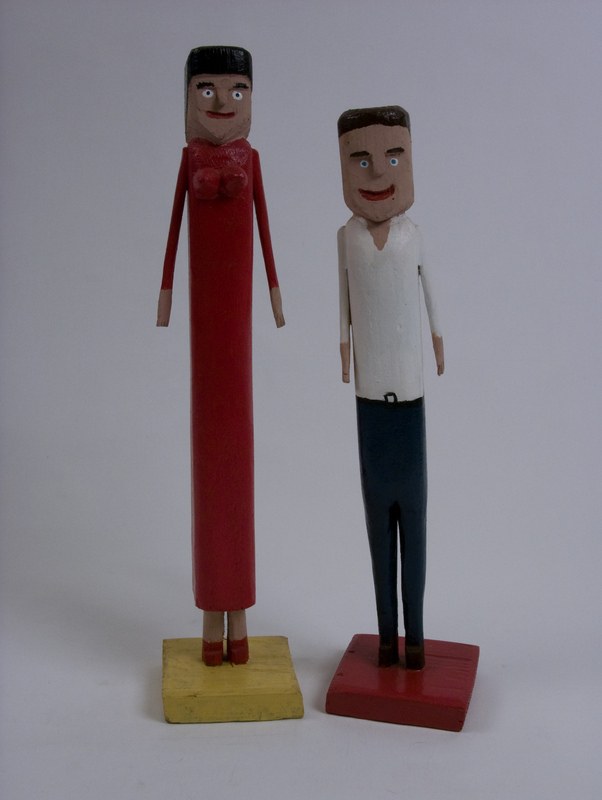 We have also discovered in our collection other couples some obvious some odd. 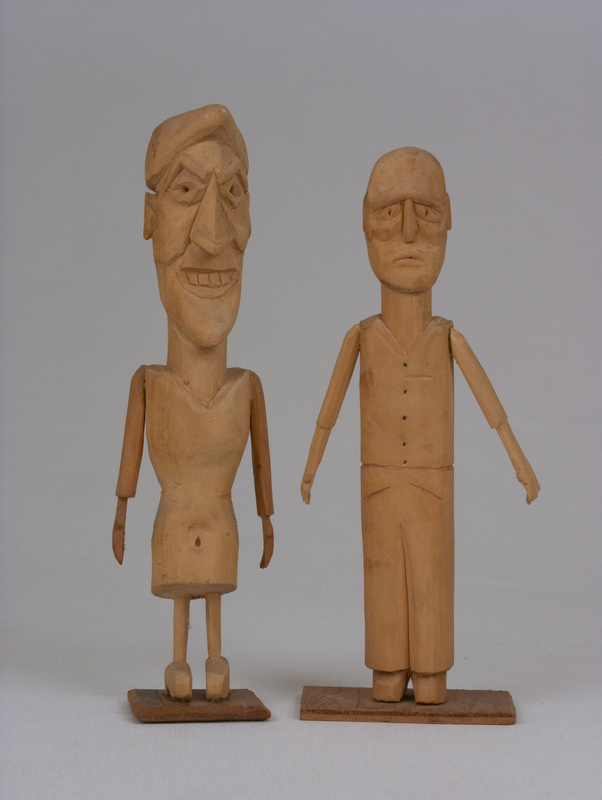 An example, the exaggerated woman and man carved by Harry Jennings or the couple entwined on the bench by Shirley Lambdin. 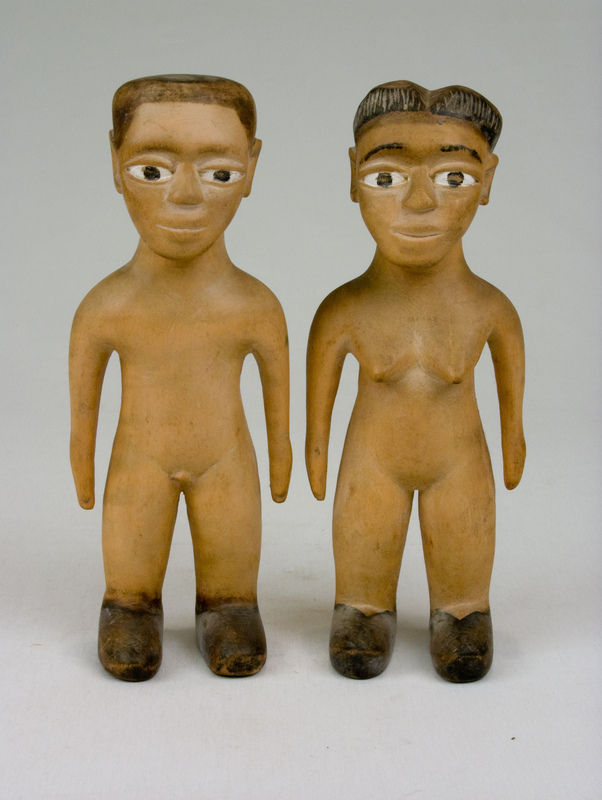 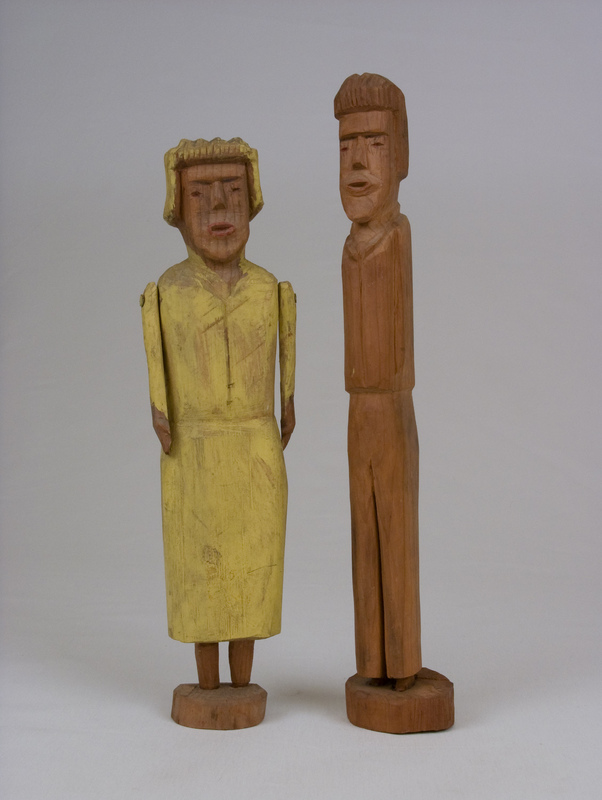 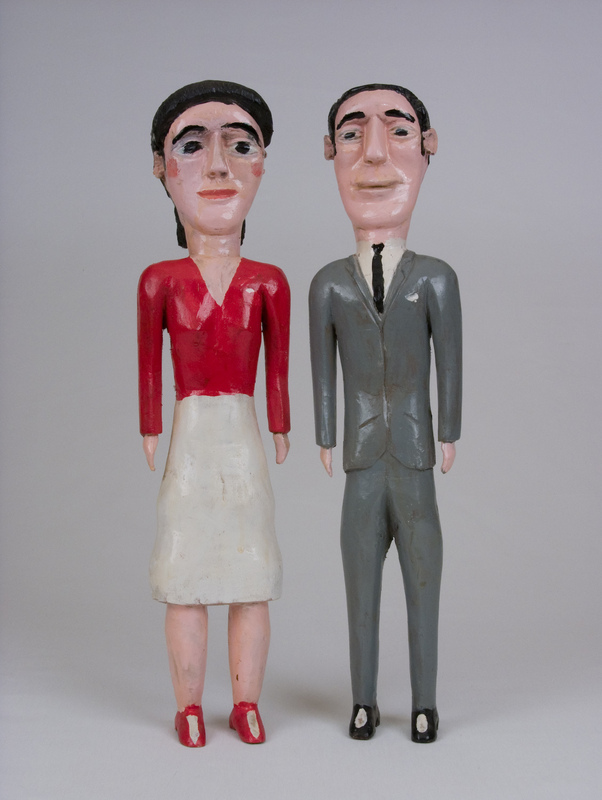 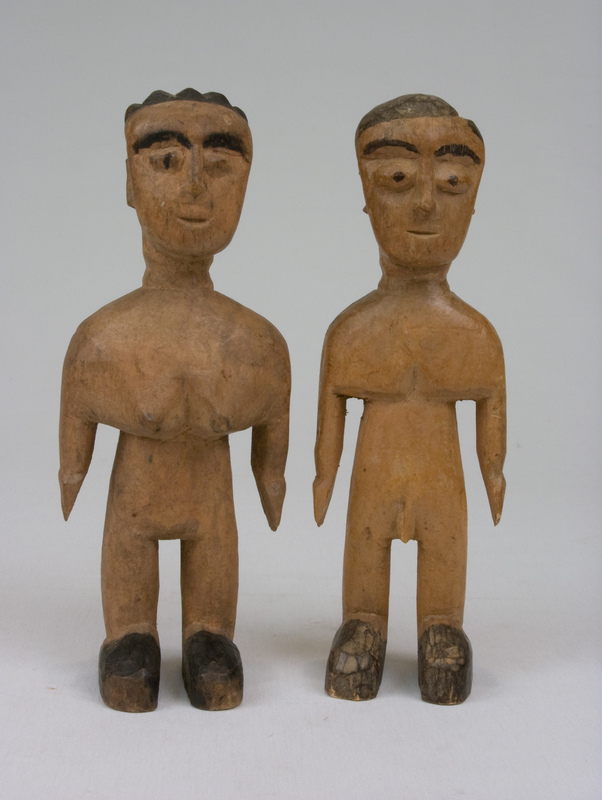 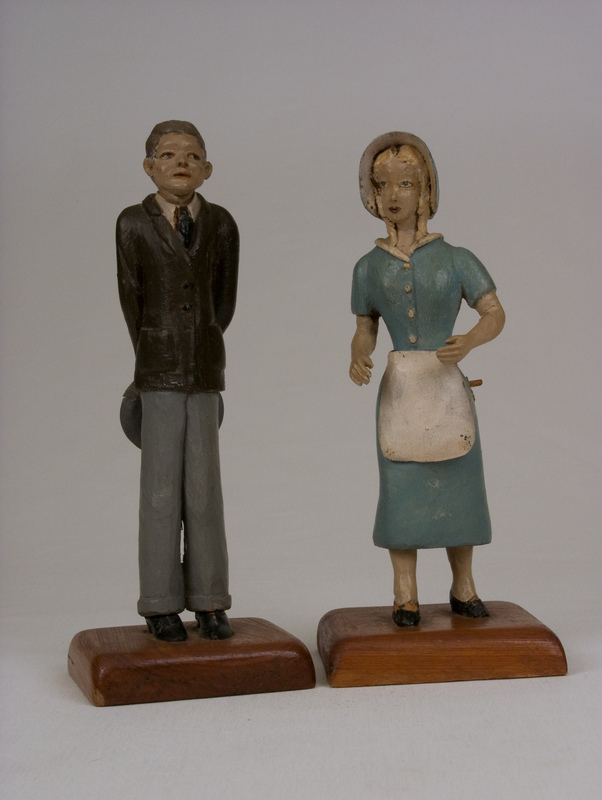 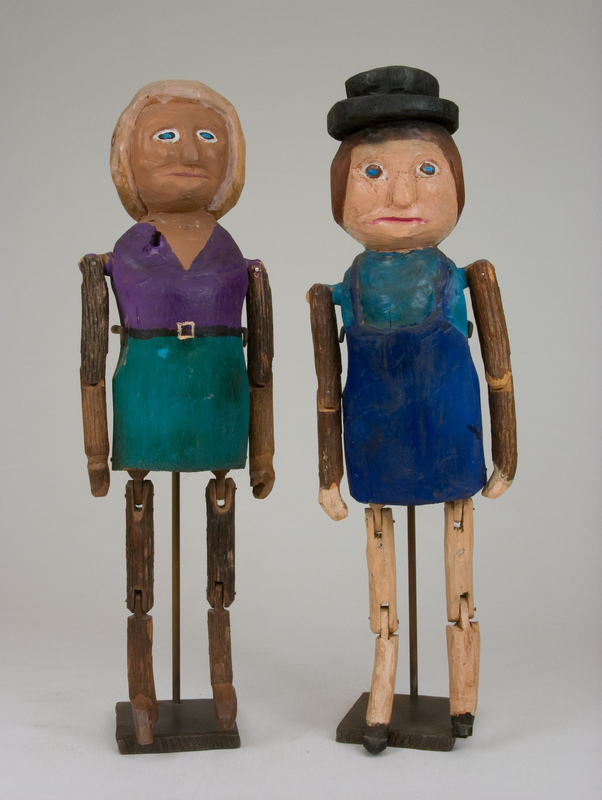 Also the thin man and lady in yellow dress by Carl Mc Kenzie and the couple carved from Lignum Vitae by the Scientist. 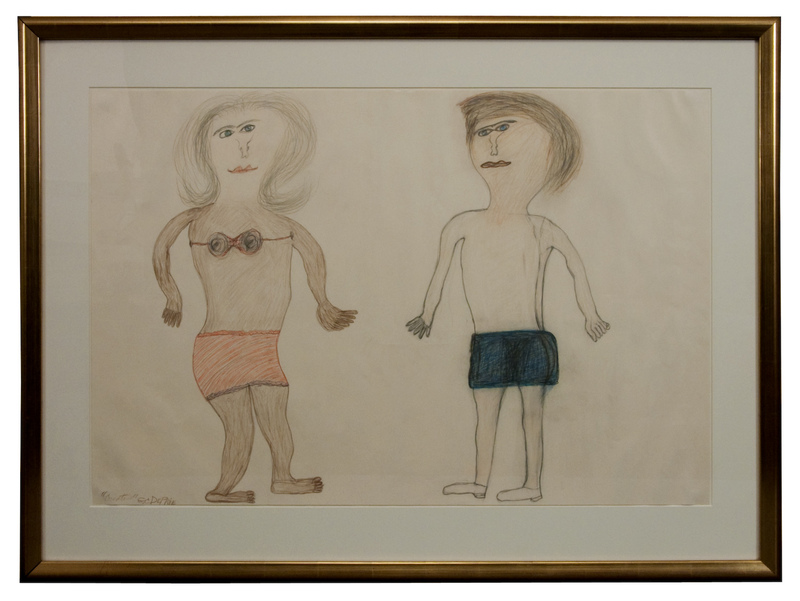 Strangely, our gravitation toward these pieces was not contrived or preconceived, but more subliminal in retrospect.